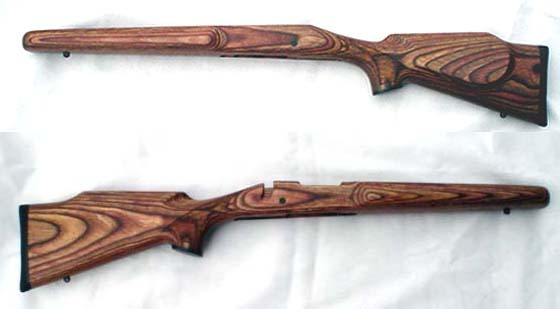 RIFLE AND FULL SIZE SHOT GUN LENGTH SHOTGUN STOCKS LISTED BELOW. 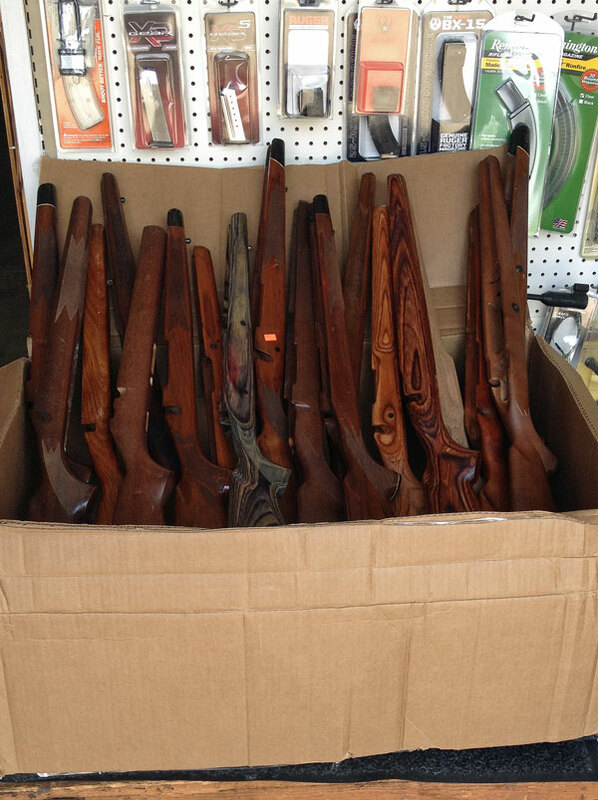 WE HAVE SOME SEMI-FINISHED STOCKS, AS WELL AS SYNTHETIC ON OTHER PAGES. Photos shown may not be the stock listed, but only a generic photo, we can''t list photos of all the ittems we have. Also Check the Separate page for Synthetic stocks. 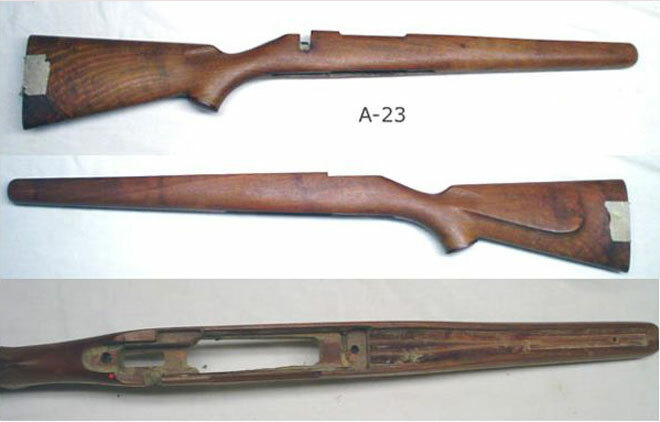 ANSCHUTZ, FACTORY CENTERFIRE 1500 / 1700 SERIES. BROWNING A BOLT LONG ACTION W/ PAD DINGS AND SOME SCRATCHES FROM HUNTING. GOOD FIELD STOCK. 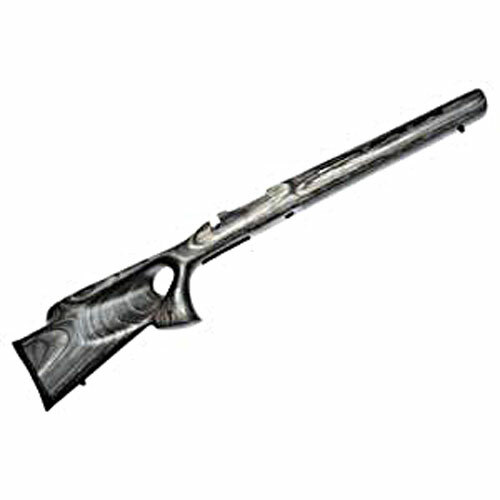 BROWNING A BOLT SHORT ACTION WOW! NICE WOOD. 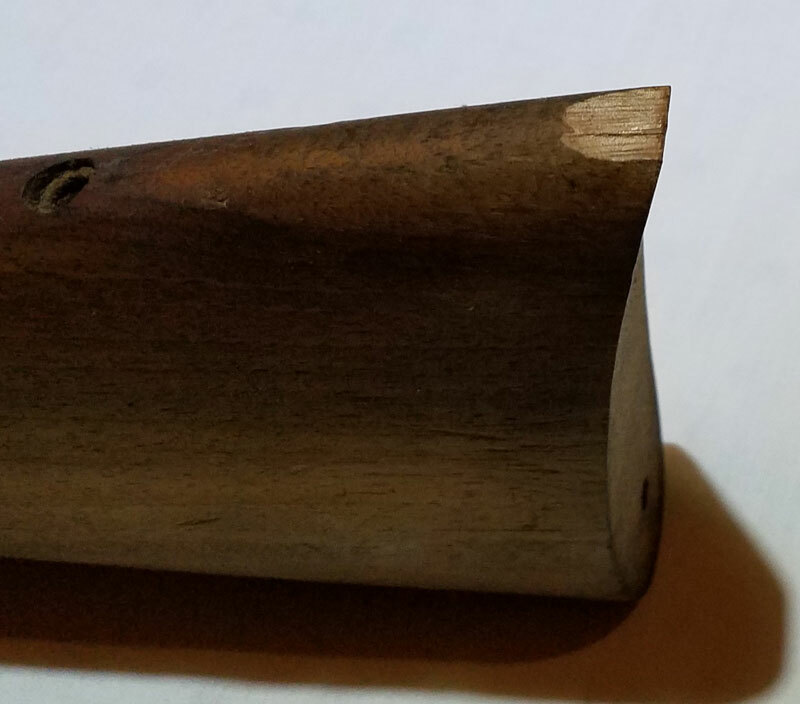 ROSEWOOD TIP AND GRIP CAP. 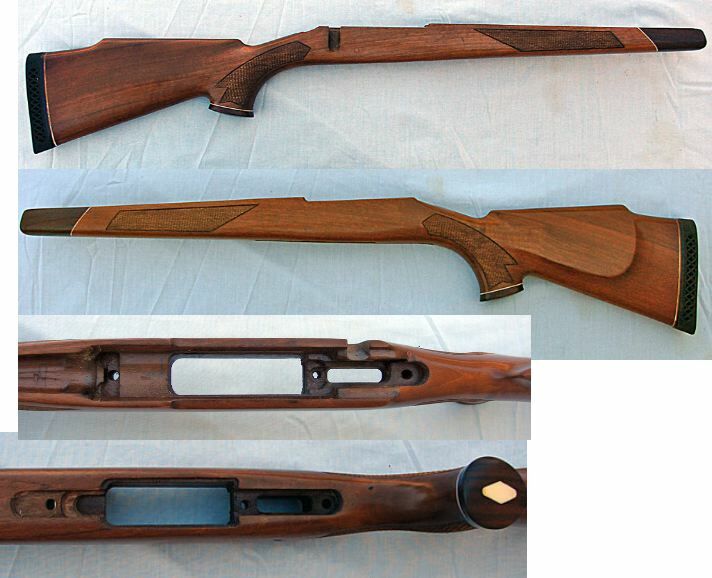 REM M-700 ADL, LA, WALNUT, OLDER SERIES EARLY CHECKERING. 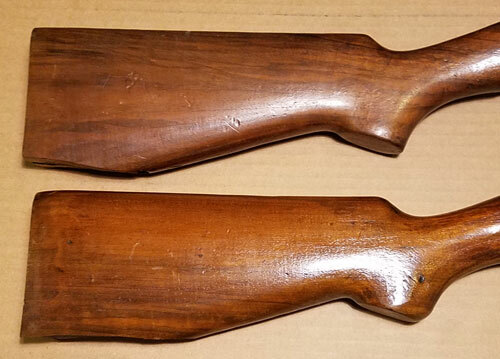 REM M-721 WALNUT NO PLATE HAS ABOUT 1/2 OUT OF TOE. 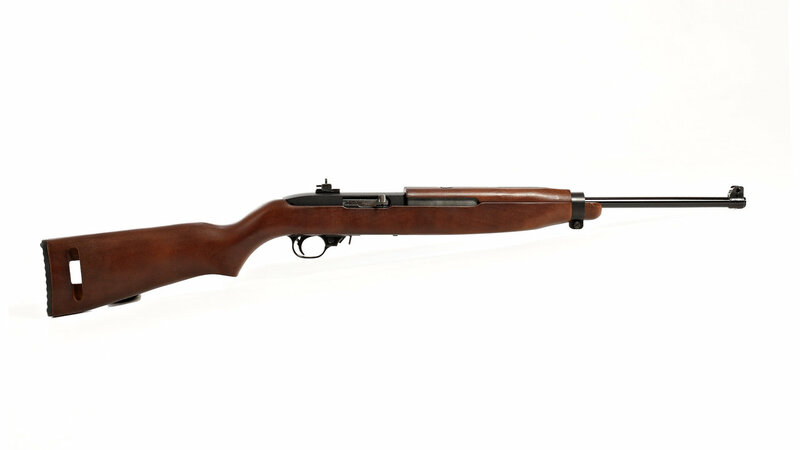 RUGER 10-22 BROWN / GREEN LAMINATE FOR HEAVY BARREL .920. 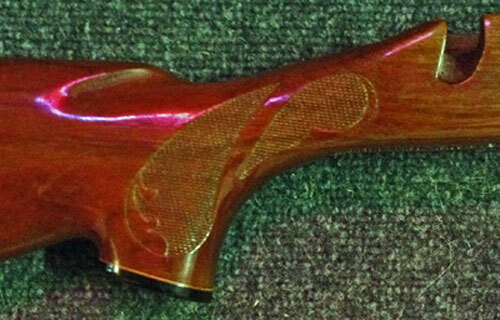 RUGER 10-22 PEPPER LAMINATE FOR HEAVY BARREL .920. 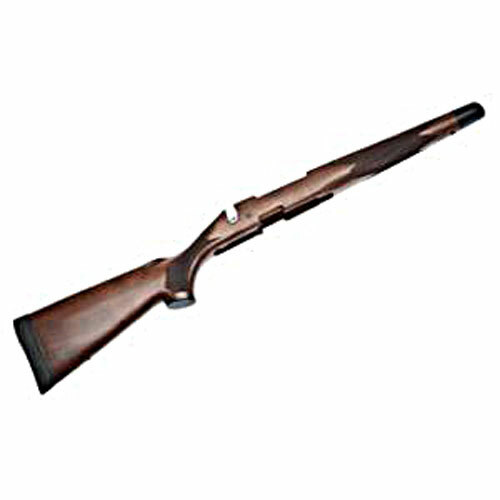 WIN M-70 EXPRESS / SAFARI WALNUT CHECKERED, DOUBLE RECOIL LUG, CUT FOR LUG UNDER BARREL. CUT 1" SHOT NO PAD. Excellent (Not New) - Minor scuff marks, possible light minor dings, light scratches.